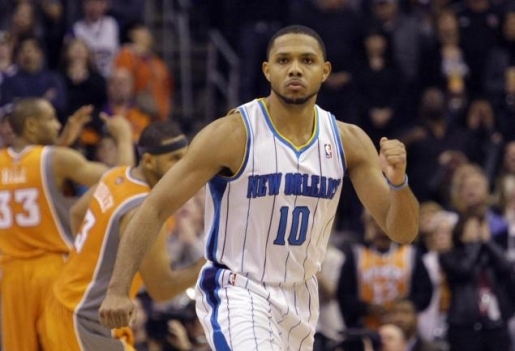 The New Orleans Hornets are going to be a team to watch next season. They have a loaded roster with Anthony Davis, Austin Rivers, Eric Gordon, and lots of other great young players (with more on the way). However, there’s a problem with watching the Hornets; they won’t be playing in the NBA next season. According to rumors, the New Orleans NBA franchise will be changing their name from the New Orleans Hornets to the New Orleans Pelicans. The Hornets/Pelicans are the second NBA team in the history of New Orleans. The Jazz held residence in the city from 1974 to 1979 before the team moved to Utah. The owners of the now-Utah Jazz have repeatedly denied requests by New Orleans to buy the Jazz name back. Hence, Pelicans rather than Hornets. The brown pelican is the state bird of Louisiana. NBA commissioner David Stern has said he would not refuse any reasonable name change request from New Orleans owner Tom Benson, who bought the team from the NBA.